Comprised of Tate Logan (Vocals/Rhythm Guitar), Jack Eskridge (Guitar), Caleb Rucker (Drums), and Sean Bowick (Bass), Happy. 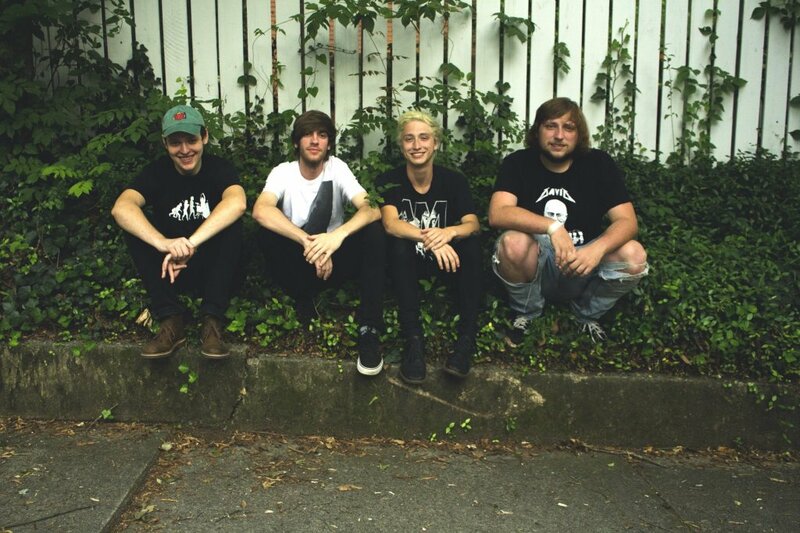 is more than just a pop punk band from Columbia, SC. Formed in 2016, Happy. released a successful EP, The Endless Bummer, with a mission to provide a sense of nostalgia for listeners with a sound that is full of infectious melodic hooks and oozing with catchy harmonies before signing with independent record label Rude Records in early 2018. Last month the band announced their debut album, Cult Classic, due September 7th on Rude Records. The album, which was produced/engineered by Will Pugh of Cartel and mastered by Cameron Boucher of Sorority Noise, offers an exorbitant amount of heartfelt writing with the overarching theme of working to be the best version of yourself. Happy. kicked off 2018 with a bang, releasing infectious track one after the other including their debut single, “Don’t Overdose and Drive,”. The band also released “Winona Ryder” and “Fishtank”.